With our revolutionary FluidFM BOT and the FluidFM nanosyringe (800 nm aperture), you can perform nano-injection of a vast variety of compounds into either cytoplasms or nuclei of adherent cells. This is achieved in a cell-context preserving, non-destructive (cell viability > 95%), measurable (fL volumes) and fast (inject 100+ cells/hour) manner. 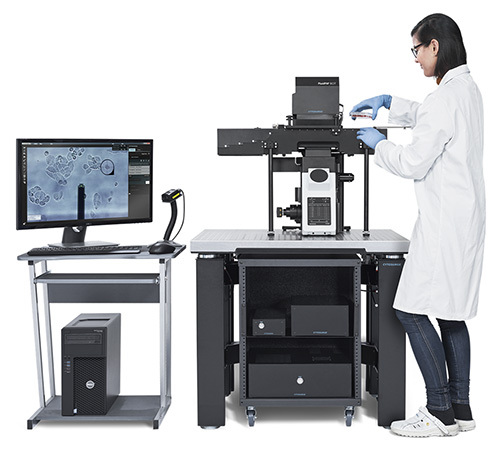 FluidFM nano-injection together with FluidFM nano-extraction and/or cell isolation, makes the FluidFM BOT system an unrivalled tool to take your research beyond boundaries of current limitations. Visit booth 541 to learn more! FluidFM BOT for nano-injection into adherent cells. With the FluidFM BOT system, you can perform and even combine nano-injection, nano-extraction and cell isolation, amongst other applications, to reinvent your research procedures and change dimensions. Perform nano-injection with a vast variety of compounds into either cytoplasms or nuclei of adherent cells, in a cell-context preserving, gentle (cell viability > 95%), measurable (fL volumes) and fast (inject 100+ cells/hour) manner. Extract the content of individual cells directly in their native environment while preserving the cellular context and without affecting cell viability. 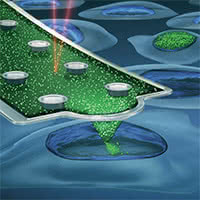 Isolate single adherent or suspended cells in a cell-context-preserving and non-destructive manner. The FluidFM BOT system is an unrivalled tool in simplicity and automation: To target a cell, simply point and click on the cytoplasm or nucleus of a specific cell and press “OK”. It is as straightforward as that.